Explore the world of math together! Hello, my name is Johnson. I grew up in China and got my double undergraduate degrees in math and software engineering in China. I pursued my master's degree in Stony Brook University with the major of mathematics. statistics. Thus, I have a solid foundation of mathematics among several subjects. Now, I work as a math content developer in a publishing company. I develop problems and solution processes for the online math courses among different levels. I'd like to help you explore the world of math, increase your interest of learning math and be top in the exams! First, I am a native speaker of Chinese and I speak Mandarin Chinese. Second, I have some experience tutoring non-native speakers. 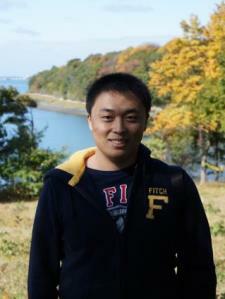 When I studied at Stony Brook University, I was a Chinese tutor for two language learners for about one year. Lastly, I am an outgoing person and I like to help others, especially, for their language learning. Also, my wife is a Chinese teacher, so I get many tutoring methods from her. Thus, I think I am qualified to be a Chinese tutor. Tonight was my sons first algebra tutor session. As a former manager for a large IT company and currently a teacher I can be very critical. He was on time, well prepared, polite , able to communicate clearly the math problem to a 14 year old and very knowledgeable. We are very happy with our Tutor selection! !